Bergamo has a smart new tourist office in the Città Bassa (lower town) located in part of the refurbished bus station in Via Bartolomeo Bono. The entrance to the tourist office is from Viale Papa Giovanni XXIII, next to Piazzale degli Alpini, just a short walk from the railway station. Visitors will be given a free map of Bergamo and information about what there is to see during their stay in the city. The helpful multilingual staff can also provide information about concerts, events and exhibitions and look up train and bus times for visitors. The tourist office for the Città Alta (upper town) is in Via Gombito on the ground floor of the Gombito Tower . 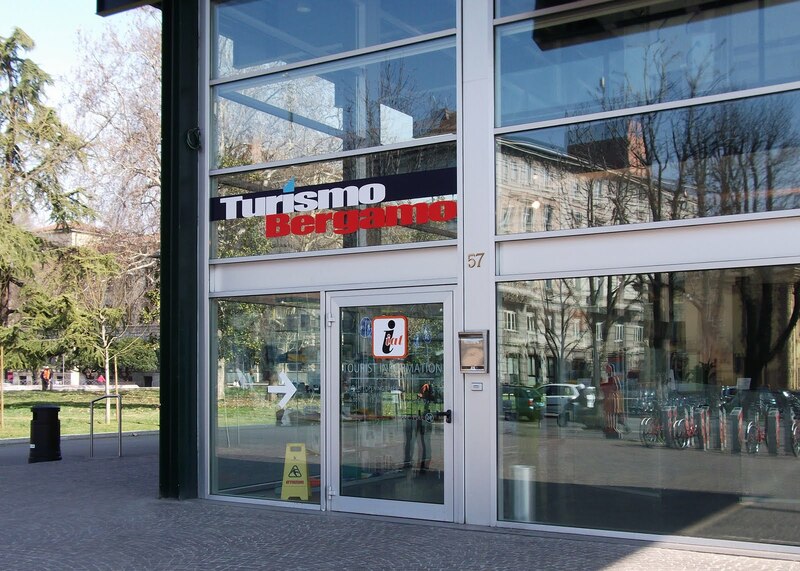 There is also a tourist office in the Arrivals hall at Bergamo’s Orio al Serio airport. When visiting any of the tourist offices remember to ask for the latest copy of Key to Bergamo, a handy magazine with features in Italian that have English translations running alongside. It also has details of opening times and contact telephone numbers for Bergamo’s main sights. Quite a good office, thank you for sharing it with us.